Writer by passion, administrator by profession. I check what life brings and turn it into writing. If you are looking for a place for a weekend break near London, Eastbourne, with its beaches, places to visit and paths to walk, is a perfect choice. My decision to visit Eastbourne recently was quite random. My husband and I had been looking for a weekend destination to celebrate our 1st wedding anniversary. We only had a few requirements: the seaside, something to see, close distance from London and a cheap and comfortable way to get and stay at the place. After researching such places as Bournemouth and Poole, Southend-on-Sea, which are probably worth visiting as well, we chose Eastbourne and were very satisfied with it. Even though I went there with a broken foot and was walking on crutches we experienced the atmosphere of the town and the seaside. 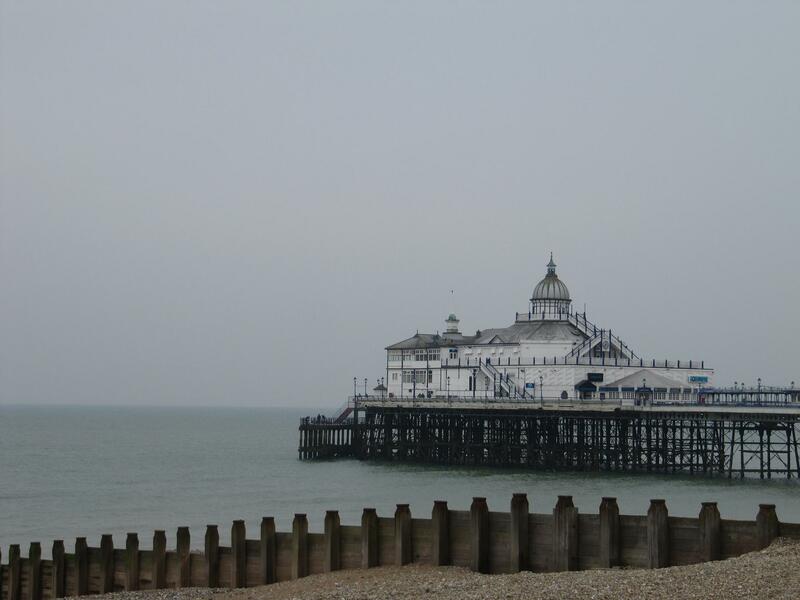 Here are some guidelines as to where you can go and what to do while in Eastbourne. If you come from London via train you have two walks to choose from. If you go to the right, you will get to the Town Hall, Library and Arts Centre as well as part of the town called Little Chelsea. This is a great place to shop for designer clothing, books or wines. You can also relax there in a tearoom or coffee house. We left this part for another visit to Eastbourne and chose to walk towards the seaside via Cornfield Rd. This way we got to visit the tourist information centre, where we were provided with helpful maps and brochures, including one on the Museum of Shops. The museum is wonderful place to visit for all of those interested in the past. It's located on four floors and offers 100,000 exhibits portraying trade as well as life from the past. Museum has also a little souvenir shop which offers a selection of shortbreads with different jams, such gems as a little English-Cockney dictionary and some souvenirs from the past. You can also get to the seaside via Terminus Road which is the main shopping road in the town. You can find all the big brands you know there, from high street brands, as well as some more local, with well supplied second hand bookshops/antiques shops. If you would like to sit down for a really good coffee, tea and lunch or sweet snack, go to Neate's – which has a green and pink interior design and lovely sisters who run the business (more on this place in another article, as it deserves it). There are also some other places worthy visiting, like Vintage Cafe, which has just opened. Once you reach to the seaside there is plenty to see. Due to my limited walking abilities we saw only the part of it but we already plan to walk along the sea next time. You can start your walk at King Edward Parade at Western Lawns and walk, walk, walk until you get to the other end of the shore at the Sovereign Centre at Royal Parade. On your way you will see, among others, Wish Tower and Lifeboat Museum. If you are a bit tired you can hop on Dotto Train and enjoy a little ride. Eastbourne seems to be also great place for a longer stay than just a weekend. If you are lucky or plan you visit at the right time. you may get to listen to one of the concerts at the bandstand at the beach, food market at the pier or a colourful parade. 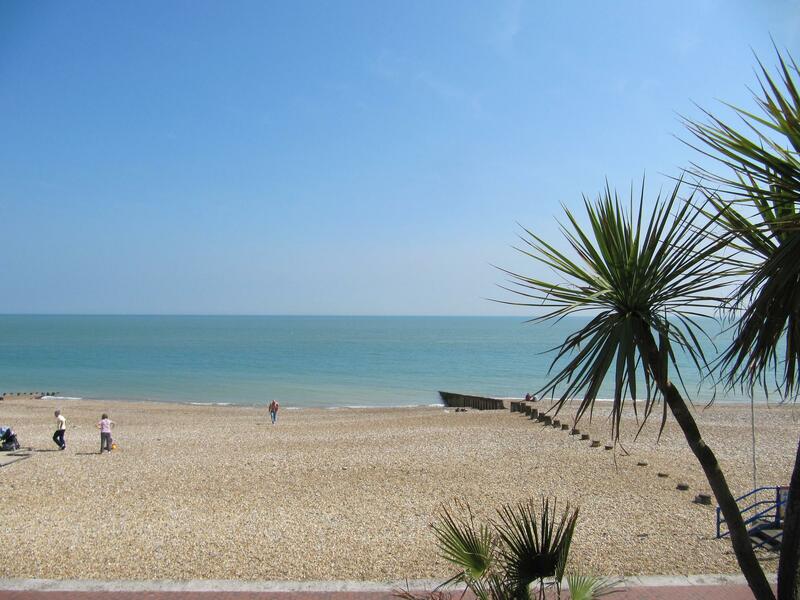 Moreover, the town is well connected with other seaside destinations such as Seven Sisters and Brighton, so you can be sure you will not be bored.